Roberto Iarussi, tenor: Even his name sounds like singing. His voice blazes, caresses, thrills, enraptures, comforts. He communicates every note and word with nuanced passion and a respect that is collaborative. He meets his composers and librettists as a servant who is the equal to their intentions. 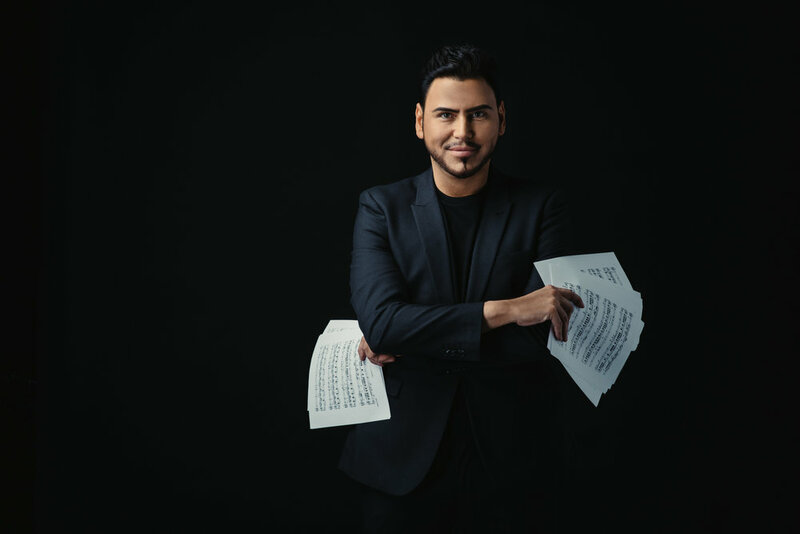 Whether interpreting the grandeur of opera, the bittersweet intimacy of Neapolitan song, or, as in his new album, I Believe, (pop cross-over), supremely he invests his work with a love that knows the cost, and value, of love. Recorded with the London Symphony Orchestra, I Believe affirms Faith as a bridge to salvation over life’s darkest moments. Iarussi knows that music can save lives: It saved his. As a young man, he was encouraged in music by his mother to develop his voice, which was extraordinary from an early age. Despite growing up in extraordinarily difficult circumstances, great music sung by great singers is what inspired him. Their passion taught him that self-expression through singing meant survival. Upheld by religious Faith, he persevered in his studies, despite catastrophic illness in his family, which deflected him from his profession, he never stopped singing, but decidedly remained available to his loved ones during their darkest hours. Iarussi’s life and professional path may have not been conventional, but neither is his voice. One paradox of art is that the more individual an artist’s expression is—the more it is imbued with the unique fruits of his quests, sufferings and triumphs—the more universal it becomes. Iarussi’s vocal “fingerprint” lingers in the memory because his sound is a mirror in which every listener sees something of himself. A maverick in the music business, he resisted pressures to "sound" like everyone else, Not for Iarussi are the corporate voices of tenors submerging their individuality in mini-choruses: It is because he is a soloist that his singing is a glorious echo of the inner life everyone traverses solo that I Believe resounds with such conviction, authenticity and hope. Unrelentingly, he strives for excellence and aims to bring forth fresh creative concepts that have both entertainment value and artistic integrity. Iarussi’s voice is clearly his great gift, arguably his greatest; And singing, an integral part of his life's purpose. He is forthright about how difficult his path has been because he wants others to know that they, too, can overcome. He believes Music is a gift from God, and that God is the Power that personally carried him through sorrow and grief back to the land of the living. He integrates this knowledge into the very body of his sound, which is in itself a vehicle for messages mostly unheard in today’s musical culture, which extols the lesser aspects of worldly life. Iarussi’s messages include Love as a force stronger—and infinitely more real—than anger, ugliness or evil; that the celebration of beauty as an expression of good is its own justification; that Faith is the trusted companion not of the foolish but of the wise. By bringing his fascinatingly rich vocals to I Believe, Iarussi channels encouragement and fortitude to uplift us when our environments and life experiences insinuate doom. Iarussi believes that the human journey is lighter when we undertake to travel arm in arm, and in the spirit that is: music.